Clerk.io's algorithms are made specifically to analyse your Product data, in order to present it back to customers in the best possible way. However, product data that you send to us can be used for multiple purposes across the system, including Designs and Filters. This data is then used for the following purposes. Any texts that are sent for each product, will be indexed as keywords for that product. This means that the more attributes you can send (colors, sizes, brands, model-numbers, descriptions etc. 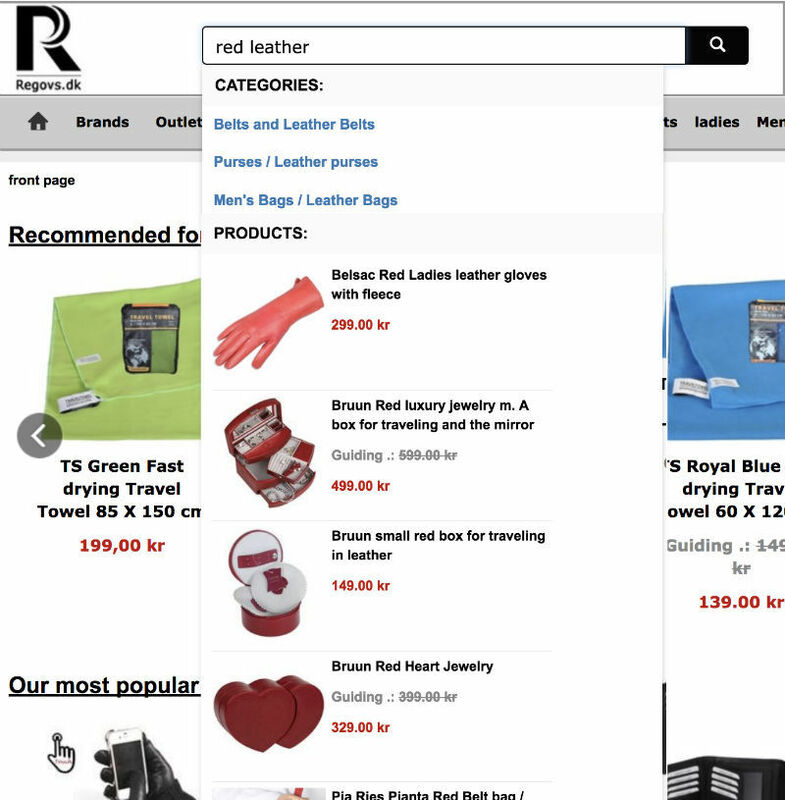 ), the better the search engine can become and the more it will be able to help your customers find the right products. In your catalog, you often have many products within the same categories, brands, colors etc. Clerk.io's algorithm uses product data, to piece together connections between all of your products. For example, this enables you to show alternatives and complementary products within the same brands, colors, types, etc. completely automatically, due to how your products are grouped together. Your product data is also used to generate the Designs that show products through Clerk.io. You can use this to style your products with any information you want, such as price, name, images, brands etc. Clerk.io allows you to use filters, to only show products from a specific subset. These filters are based on any attributes you send, and can be modified directly from Website Content -> Choose Product Logic in my.clerk.io. So as you can see, the more data you send to Clerk.io, the more options you have available for optimising the way you show products to your customers.